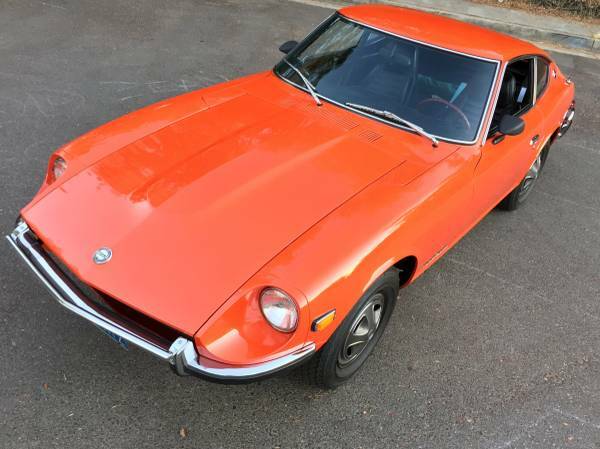 1972 DATSUN 240Z. 4- speed. Senior owned. 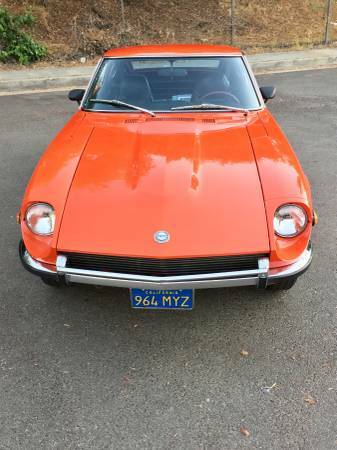 Sold new at Forest Datsun in Redwood City California. THE original dealer stamped sales brochure included, with original manual, documents and dealer maintenance credit card. 100% original Persimmon Red paint. Yes, 100% front to rear, top to bottom. Never damaged. Fully detailed. Collector owned. Smog equipment removed long ago and saved for posterity. 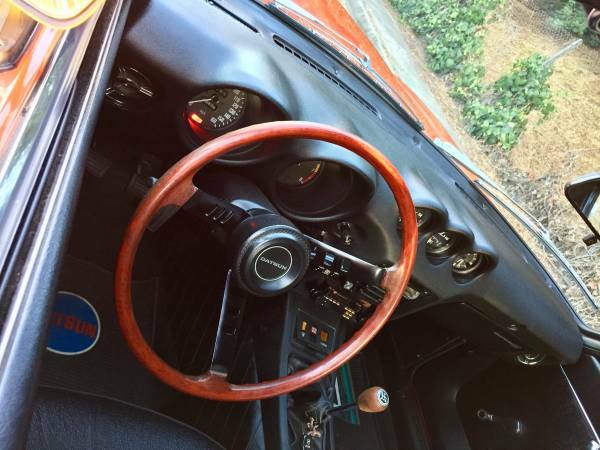 Unrestored Bone Stock California car in absolute garage kept immaculate condition. Documented professional engine rebuild less than 1,000 miles ago, circa 2000. 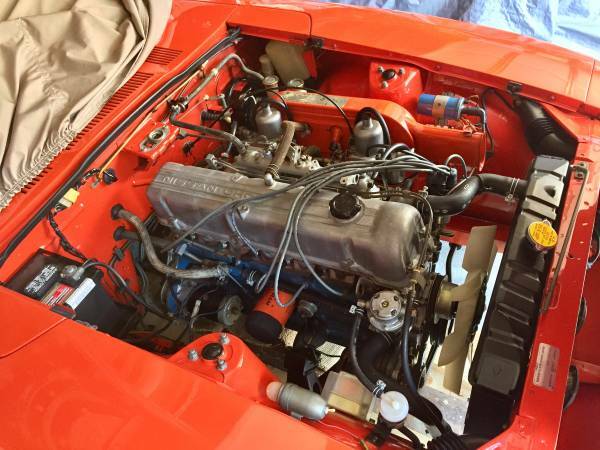 The Mechanical Engineer original owner was a fanatic on checking compression and ultimately decided the engine was becoming tired, resulting in precautionary rebuild. Once again, all documented in depth photographically with applicable receipts. His Peterbilt Truck design department parking garage decal remains on the rear bumper. Runs and drives as well as it presents. Fresh Vredestein radial tires. New exhaust. Seeing is believing. 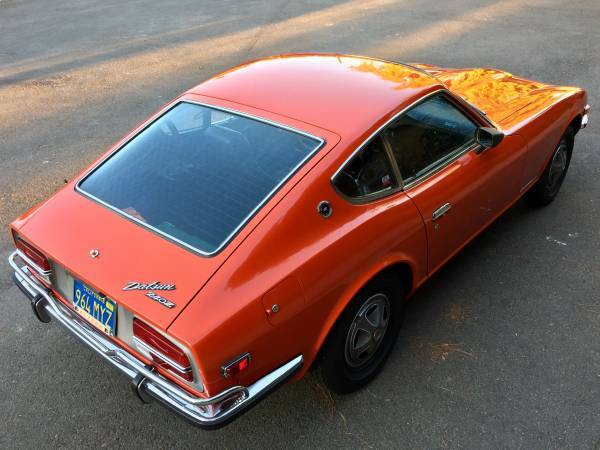 Still has new Z smell. All concise documents and maintenance log since new. I am the second owner. Titled in my name, current registration. Clear title. Not into stories, car is for sale.